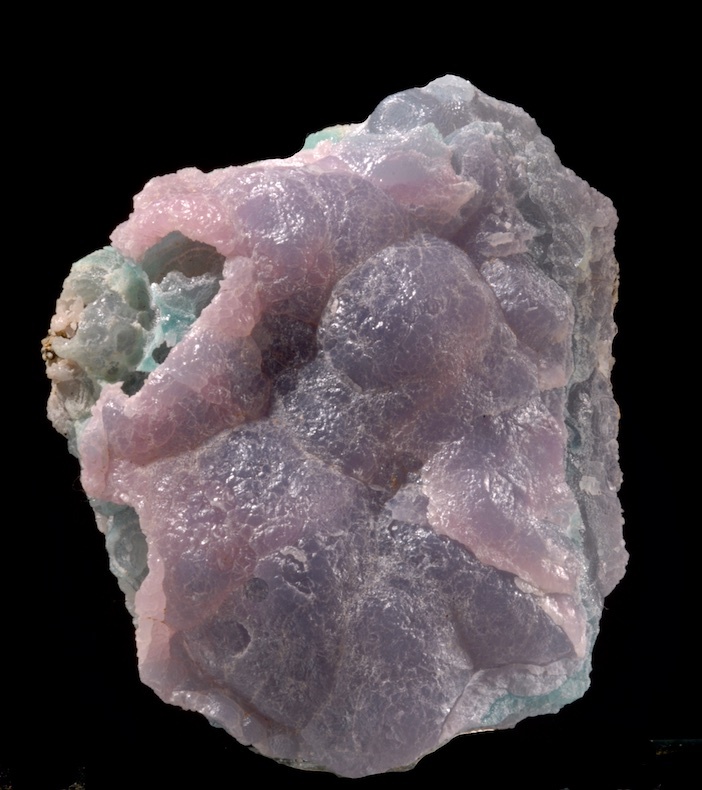 A choice small cabinet Smithsonite made of purple and pink botryoidal layers over a green core. There is minimal matrix. From the now defunct Choix locale, this has a fine color and luster that is much better in person. In undamaged condition, these Smithsonites are no longer being found. A modern classic locale, better specimens like this really do stand out and are a good value. Dense, rich red coverage of needles in clusters, radiating sprays and clumps. 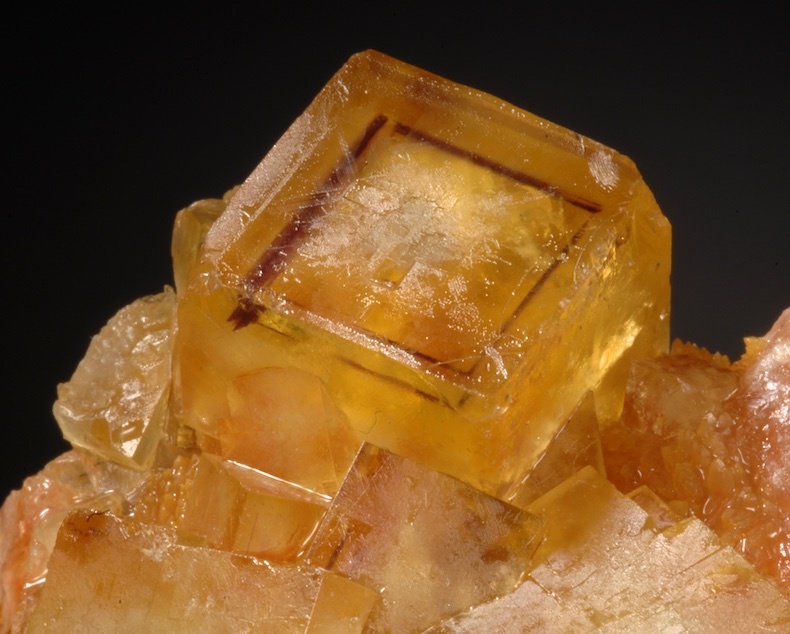 There are small Stibnites and a druse of Valentinite crystals behind the Kermesites. Unusually bright red color and in fine condition. Ex Terry Szenics collection, this presents super well under magnification with very impressive crystal structures seen. These older Slovakian Kermesites are very different from the later Chinese specimens, and the color is far brighter red. 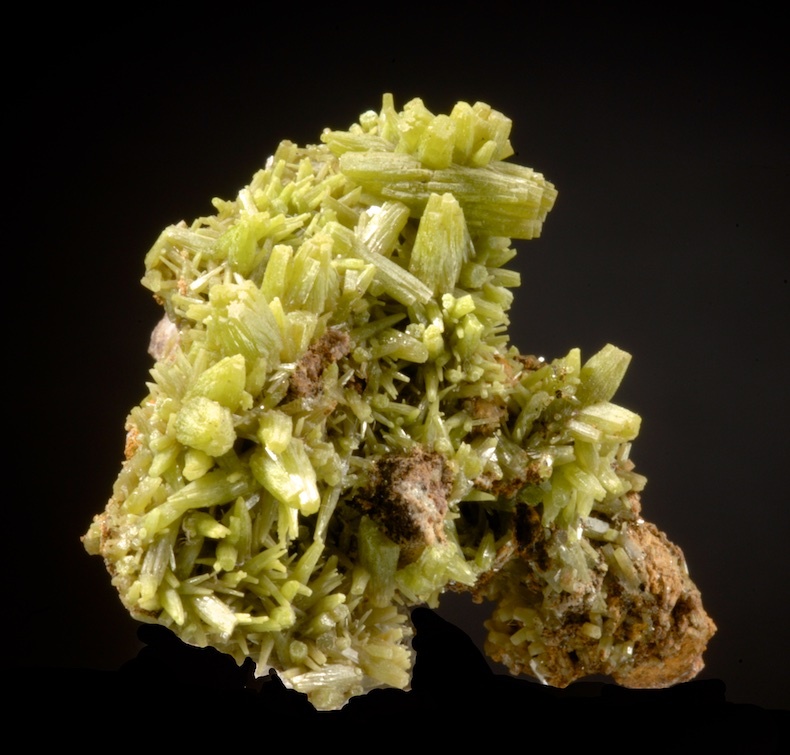 A first rate Horcajo Pyromorphite with fine color and in impeccable condition. Crystals in several habits including simple needles and barrel crystals with hoppers and pointed tip terminations. Individual prisms to 1.2 CM are thickly strewn on matrix, but despite the delicacy the condition is remarkable. Ex Charles Noll collection obtained by him over 40 years ago. Impressive and clear, these are very sharp purple phantoms inside bright yellow Fluorite cubes. We have seen hundreds of Aouli Fluorites but never this quality of phantom. Overall sharp and displays well but not a piece for perfectionists, there are small nicks and cleaves. Despite that there is strong impact for color, form and the distinct phantoms stand out well. 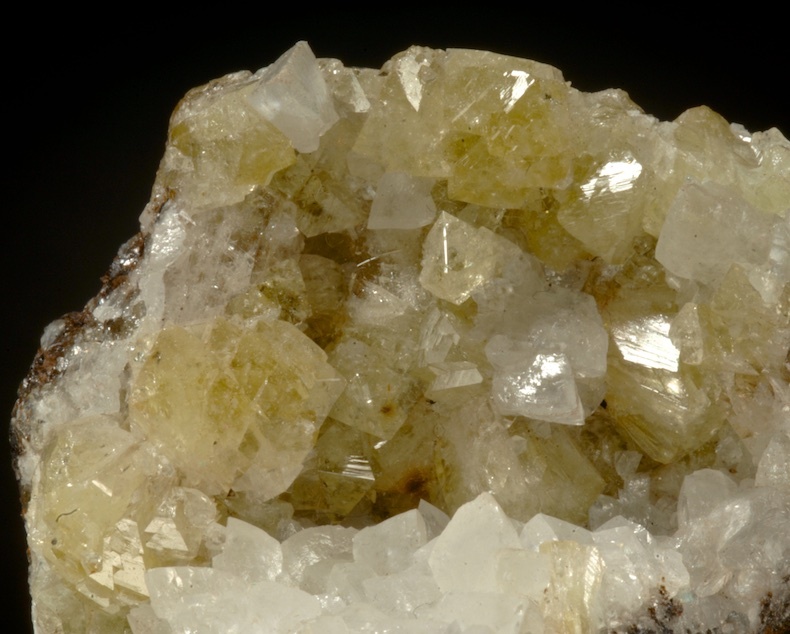 Bright lemon yellow crystals that are sharp and gemmy contrast with white Calcites. 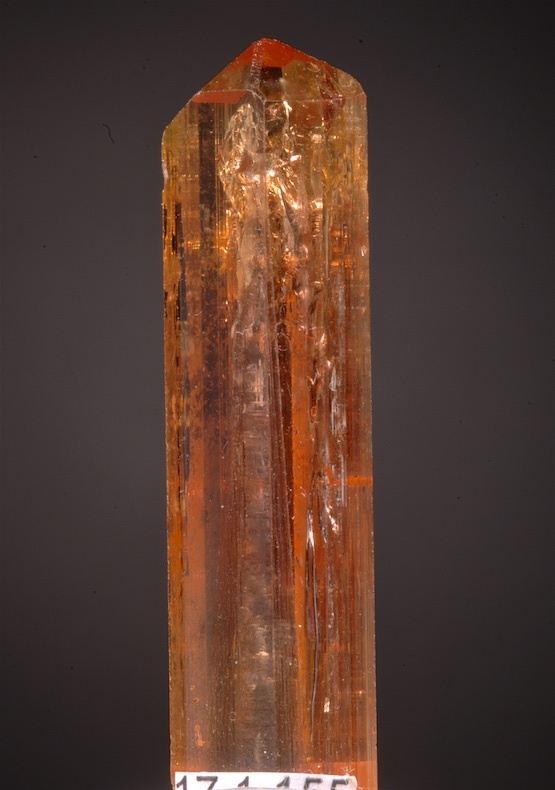 Choice and lustrous, this is an older specimen from the "golden era" at Mina Ojuela. Vivid Fluorescence and in great condition. 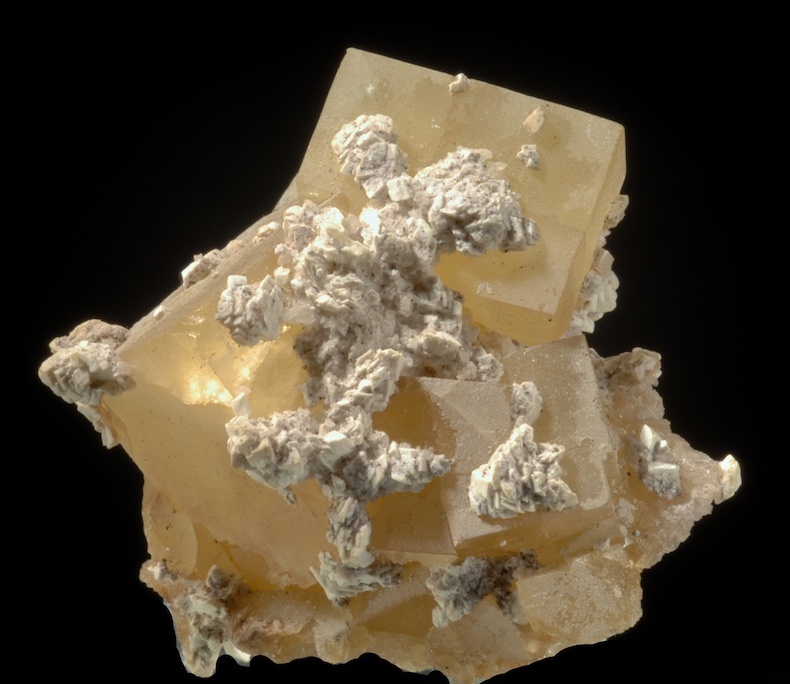 Benstonite in unusual distinct crystals clustered on Fluorite cubes. Ex Charles Noll collection, a choice example of this uncommon mineral that has always been a very desirable rarity from this region. The Fluorite cubes are also very sharp and clean with strong Fluorescence. These are only available from older collections and most are just a whitish coating on other minerals. This almost certainly came from the Minerva mine but the label does not give that specific detail so we leave this listed as Cave-in Rock only. Andrassy II. 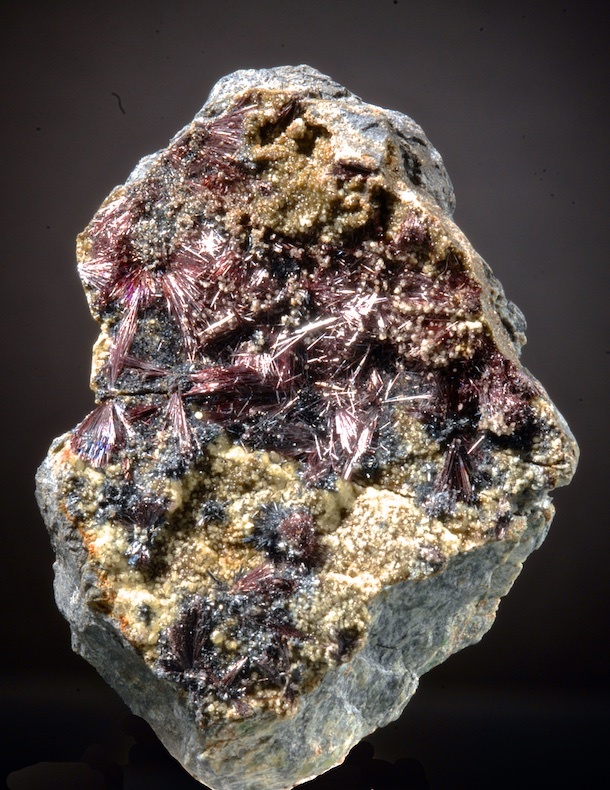 Mine, Rudabanya, Rudabanyai Mts. 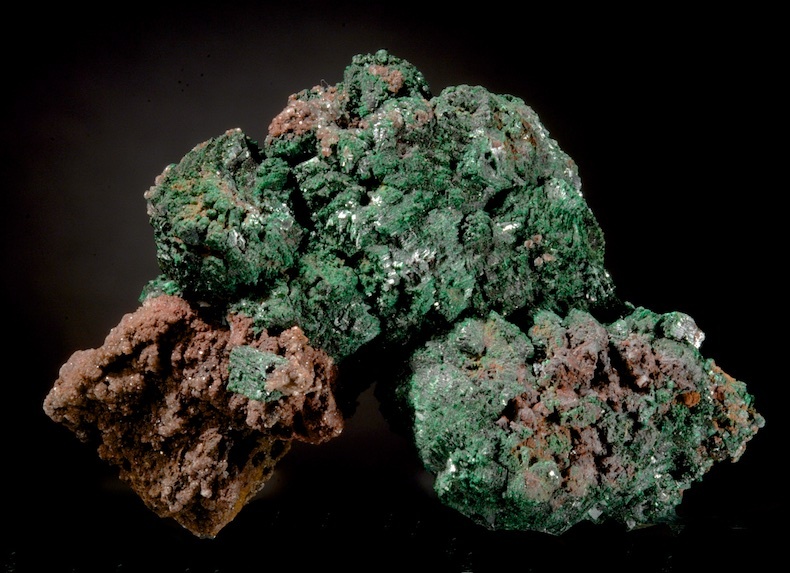 An old, well formed and crystallized Malachite from Rudebanya ex Charles Noll collection. The Malachite is quite lustrous and contrasts with the gossan matrix, but this is nearly all Malachite. This is also a well formed and fine Primary Malachite, not a pseudomorph. The luster is bright and satin like with clustered groups of prismatic crystals in spherical arrangements. In excellent condition, we do not know the vintage of this piece but the style is only seen in very old collections, and the locality has been mined since the copper age, it is one of the oldest mineral sites in Europe. Impossible to find specimens of this caliber today.